The Aigle Aiglentine is a brand new boot for the 2011 season it is a stylish boot that is great looking and a practical walking boot. 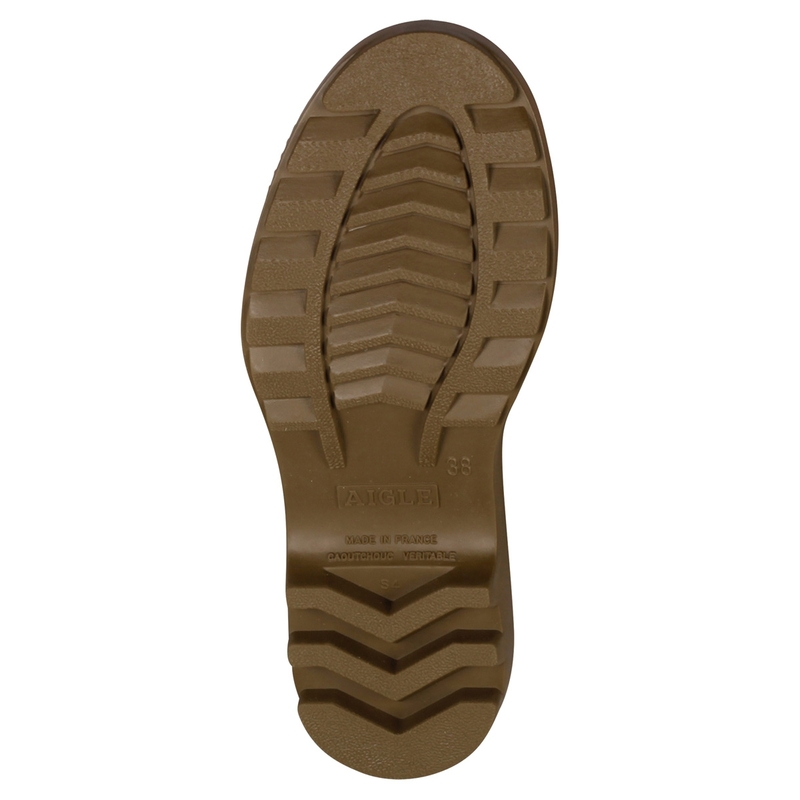 It has a new self-cleaning sole with reinforced ribbing for extra grip that is resistant to abrasion. Gomma Plus is a result of extensive research, it is a mixture based on flexible natural rubber and designed to stand up for many years to the conditions encountered in intensive outdoor use such as contact with liquid manure. Gomma Plus can also withstand ozone and the aging process linked to long periods of storage. Softex Lining is made from non-woven polyamide, the texture of this lining makes it a great absorber of perspiration. It is fast-drying and has a comfortable pleasant feel. Sanatized is a registered trademark for the treatment method used for Aigles linings, Sanitzed is a hygenic, anti-microbial treatment. The treatment remains effective even after washing. Purchased for my wife after she converted my Aigle Parcours Vario boots. I researched and tried so many brands but glad to have settled on Aigle simply the best wellingtons! Love my new boots materials are amazing very comfortable size comes big. Highly recommend it! Great boots. Great quality and price. Thanks to previous reviewers the size I chose 39 (Im a size 6 UK) was perfect. Very pleased with boots. Quite roomy so would advise not to go up a size but down. They were very quickly delivered. Best wellies ever. I have foot problems and had to change all my footwear to comfort footwear. These are the only wellies I could wear and can also fit an additional insole in. I also have the fur lined version - which I adore. I like that they are not as tall as Hunter wellies as well. They are a bit expandable at the top via the strap, but do look best with skinny jeans or leggings (or tights and a skirt :-)). I have small (size 4) feet but a bit wide across the toes and a high instep so the generous fit of the Aigle boot is ideal. Seem to be good quality. I am a size 5.5 so was happy to see these boots come in 1/2 sizes. They have just arrived and even with a pair of thick walking socks on the 5.5 is huge on the foot. I was also disappointed in the width of upper part of the boot. I could not get them on over even my thin walking trousers so would have no chance with my winter weight ones. Needless to say they will be going back. I must say though that the overall quality of these boots is very good - just not the right boot for me. Slim in the leg which is great as usually everything flaps about on my calves. Seem comfortable and light for walking dog. Christmas present so theyre under the tree at the moment. Good quality. Good quality wellington boot good value excellent Real Wellie with good grips and smart design. Good enough for the fields and smart enough for the Streets ! Ordered size 39 and they were a perfect fit (Im a size 6) after lots of research into wellies and I went with these. Very comfortable and soft rubber great for walking the dog. Good grip sole too so pleased with my purchase. Comfy boots but size on the big side. Very comfortable and well made boots with a good sole heel. Excellent product quick delivery totally satisfied! Good boot. This is my third pair. Love them. Fantastic style for me as ive a slim leg.Seems thin rubber but they are very strong.Im a 6 to 6.5. So the 6.5 fits great. Enough room for a sock.Reccomend them again and again.Great price too. Never bought these cheaper than with Uttings. 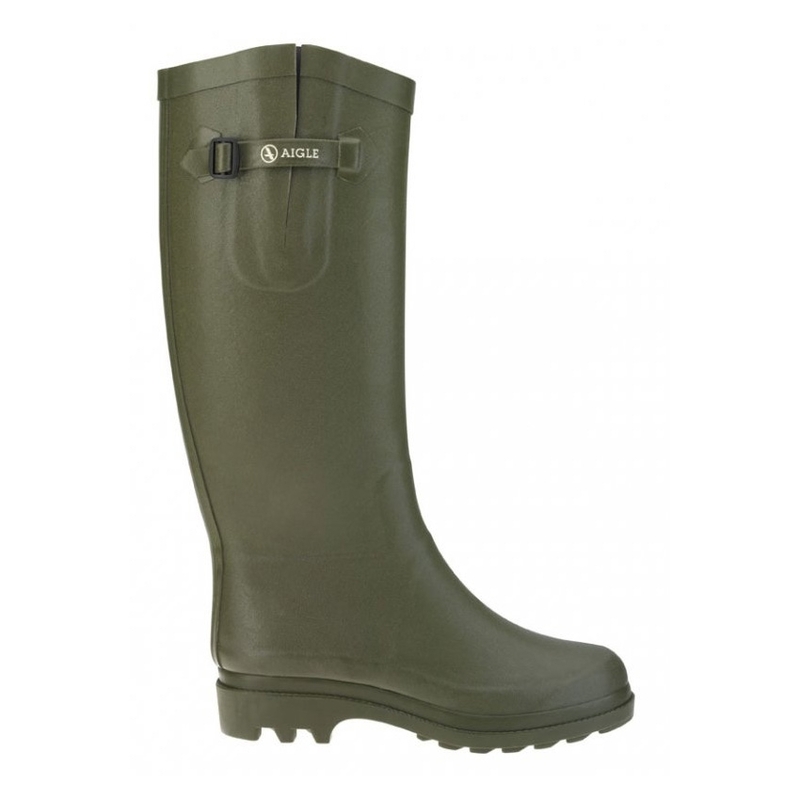 Very soft light and comfortable but for womens wellingtons they are quite wide even with thick socks. Would still highly recommend them. Excellant wellie love them so comfortable even when worn all day and walked miles with the dogs, good sole also good in slippery conditions will certainly buy another pair and recommend to friends. This is the second pair of these boots Ive had. The first pair eventually wore down after 4 winters of lots of dog walking. They are great for walking in as they fit more snuggly around the ankle than most wellies. And the adjustable calf makes it easier to fit jeans inside. This is the second pair of these boots I have purchased. The first pair lasted well over 3 years far longer than hunters or any other boots Ive had. I have horses so these boots get well used and have to endure super muddy conditions in the winter months and have stood up well. Definitely recommend them. Great service great product. The wellies are clearly a quality product. Early days yet but Im optimistic. Would happily shop with Uttings again. Flexible and soft so they are comfy to wear although l do need thick socks and insoles as they are very roomy in the feet. The fit of my previous Aigle wellies was better Brillantine but they seem to have stopped making them. Very comfortable wellies even on long walks. Make sure you get the right size as returns arent free. Im a size 6.5 7 and got 5.5(39). I wear them with a thin pair of socks slightly thicker pair on top. Essential for muddy dog and beach walks crossing streams. Hopefully they will last I know Aigle is a quality brand. Arrived promptly from Uttings £30 cheaper than my local well known garden centre chain! These boots are fabulous. They are great value for the price even though some may think they are pricey in my mind they are worth it as they are long lasting I bought them to replace another pair which I had for 2yrs which is great as I wear them daily to walk the dog. They are comfortable and look good too I reckon. These look so nice on! They are thinner than my last boots and not neoprene lined however they are very roomy so you can get a welly sock in them and wear jeans and they still fit (I have normal sized calves) Ive also worn them all day out walking and they were very comfy. Would purchase again and they were a great price too. I wear my wellies every day (for at least an hour dog walking) so will be interesting to see how well they fare over time and how quickly the heel starts to wear away. For now though I absolutely love them! Don't believe everything you read. Having seen the reviews written by others, I ordered a size smaller (38) than I usually take (39) and they are too small...wish I had bought my usual size as I will have to send them back. Good quality wellingtons though.